Hooray for birthdays! 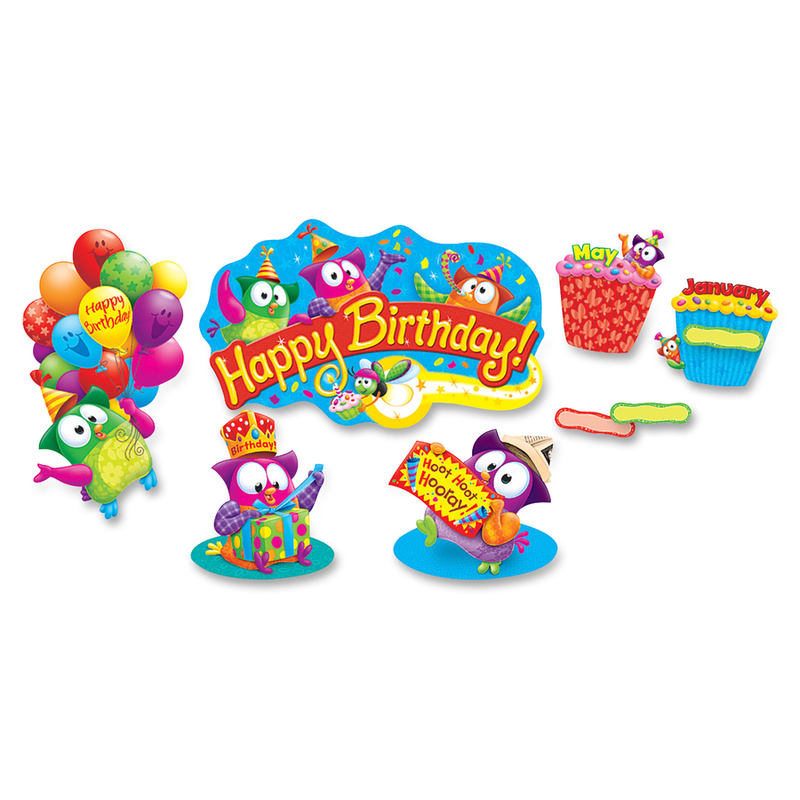 Dapper owls with posh party hats are ready to celebrate in this Owl-Stars! 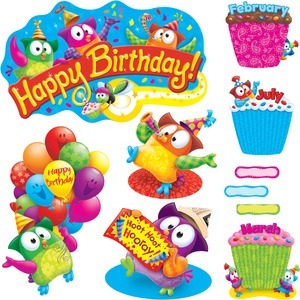 Birthday Bulletin Board Set. 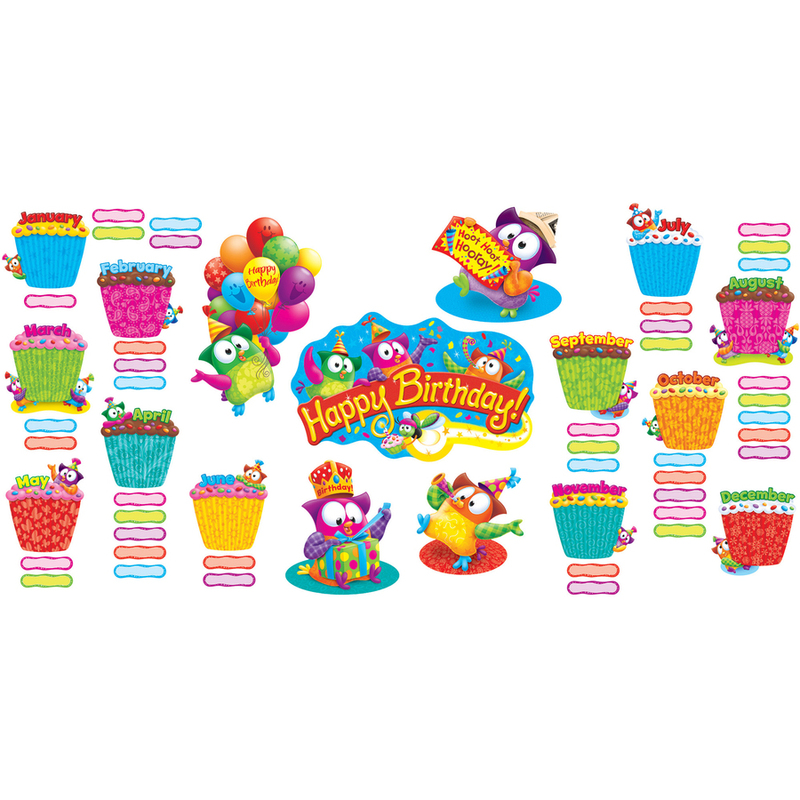 Create festive displays with the Happy Birthday header, 12 month cupcakes, 40 labels, and four owl party guests. The 57 pieces measure up to 21". Included Discovery Guide is filled with creative activities that teach and delight. Bulletin board set coordinates with Owl-Stars! Collection.